Summer is well and truly over and it’s time to get back to work. What better way than by expanding your library with some key reading matter? 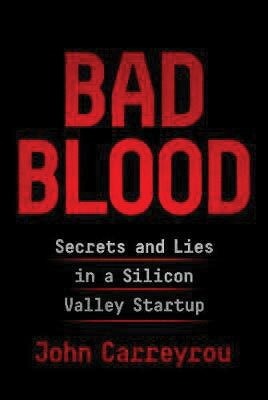 John Carreyrou serves up the inside story on the collapse of Theranos, a multi-billion-dollar biotech start-up which developed a machine that would make blood-testing faster and easier. An initial fundraising round valued the company at $9bn, and the wealth of founder Elizabeth Holmes at $4.7bn. The only problem: the tech didn’t work. 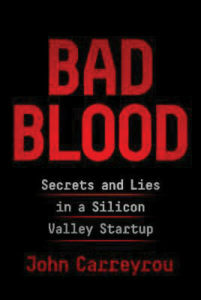 While the title fails to mention governance, Theranos was in essence a governance failure of epic proportions. A lesson for all those rushing to ride the next “unicorn” that comes along. Japan’s corporate governance has gone through big changes with the introduction of a new governance code for boards and a new stewardship code for investors under President Abe and what has become known as Abenomics. The reforms were intended to deal with poor showing of Japanese stocks and formed an effort to attract more external investors. 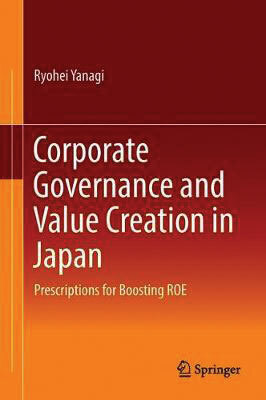 Ryohei Yanaga’s study aims to unearth the reasons for the low valuation of Japan’s listed companies. 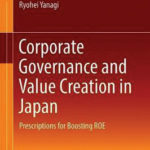 Using statistics, shareholder surveys and case studies, Yanaga’s book uncovers the evidence of Japan’s problems and the potential answers. 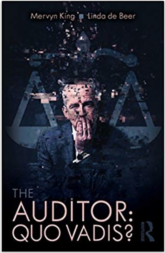 A row is raging in the UK at the moment about the future of the audit market and auditors following several corporate scandals. So contested has the issue become that senior figures are proposing intervention to change the landscape of audit. Mervyn King and Linda de Beer argue that problems for auditors run deep. Indeed they claim that audit is at a “tipping point” and that without innovation in the profession’s business model, staff recruitment strategies and the audit execution process risk being fatally undermined. 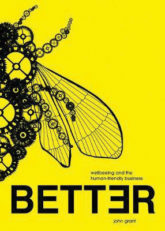 Last year’s book from Scott E. Page addresses a clear issue: How can organisations improve their performance by tapping into the differences in how people think. Can diversity not only be the right thing to do, but also produce a better bottom line? 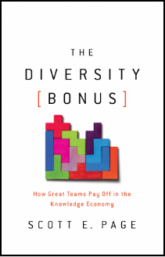 Page addresses the diversity issue from the perspective of empirical evidence providing sources that demonstrate the tangible benefits of diverse teams. Want to get some Google culture into your company? Better by John Grant may just be the book for you. Grant, founder of the St Luke’s creative agency that advised clients like the Body Shop, IKEA and the BBC, reveals how mindfulness and wellbeing became part of the business landscape as companies such as Google formulated a new kind of business culture. 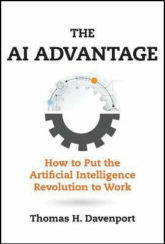 There’s got to be something about tech in this list and Thomas Davenport provides it in what is described as a “practical guide” to artificial intelligence. Wondering how AI could change you company’s business model? How it will provide competitive advantage? That’s Davenport’s agenda. Brace yourself for a crash-course in how the tech works, its capability and how it can be put to good use. Most of all, Davenport is all about tactics: avoid attempting a “moonshot” with your first foray into AI; go for “low-hanging fruit”. Sage advice even Hal could buy into. 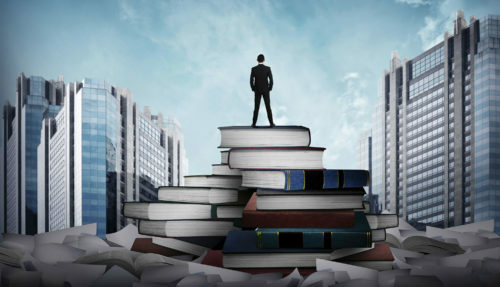 Not the most recent publication on this list but Building Better Boards is a firm favourite among advisers and described as a “must-read” by former Xerox chairman Anne Mulcahy. 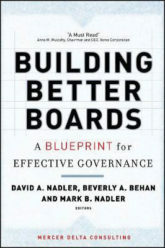 The book brings together survey data and mines the wisdom of top boardroom chairs to offer a blueprint for what makes a good board. Nadler and his co-writers were writing after the Enron, WorldCom and Tyco scandals, and they set about explaining why the status quo at the time could not continue. In short Nadler’s argument is that boards cannot be passive bodies, rubber-stamping CEO decisions. No, boards should be adding value themselves. If you’ve missed one of the biggest shifts in company reporting of recent times this book is here to remind you not only of its importance, but also how to take part. Carol Adams is a contributor to Board Agenda but also an internationally respected expert in the field of sustainability reporting. 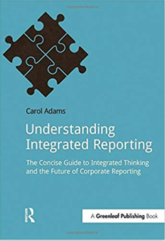 Integrated reporting has been designed to promote long-term thinking about value creation across a group of six capitals: financial, manufactured, human, intellectual, natural and social. Adams provides a crash-course in how to do it, along with case studies to show the way. As regulators and politicians address the way companies are run in the wake of the financial crisis, integrated reporting and sustainability are increasingly part of mainstream business. Climate change is here and without doubt remains the biggest threat to the planet. Business has to play a part but remains slow to see how it contributes. A key part of the UN Sustainable Development Goals, climate change has to be on the boardroom agenda. 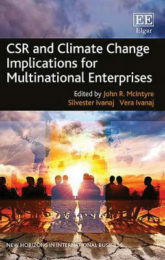 In this volume, diverse writers offer their views on how it can be managed and the role business will play as “agents of change” in solving sustainability problems. If you wanted a reminder of the significance of governance in tackling the world’s biggest problem, this is it. With thanks to Kieran Moynihan, David Nussbaum, Marie-Louise Clayton, Roger Barker and Kerrie Waring for helping to compile this list. With South Africa's economy facing more tough times ahead, an increased focus on stewardship is vital. King IV should be used as a platform for good governance practices, argues Robert Lewenson. The very nature and definition of governance has evolved into a complex and critical beast. It's time for directors to grab it by the horns and take control. When faced with a hostile takeover, emotions may run high but, as Simon Laffin advises, the board should lean on its non-executive directors.